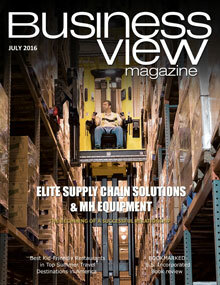 Business View Magazine profiles Belton, Missouri , a city of 23,000. in Cass County, Missouri, and part of the Kansas City metropolitan area. 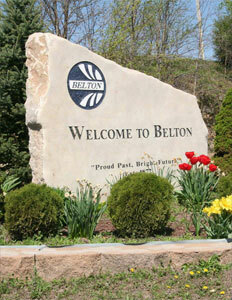 Belton, Missouri, a city of approximately 23,000, is part of the greater Kansas City metropolitan area. The land on which Belton was incorporated in 1872 was originally purchased in 1869, by George W. Scott and William H. Colbern from one Manzey Q. Ashby of Kentucky, and the town’s initial settlers were families who had moved west from the Bluegrass State. Belton is named after Captain Marcus Lindsey Belt, who helped his friend and former Civil War comrade, Scott, survey the original 80 acres of territory. Jeff Fisher is Belton’s Public Works Director. His department is responsible for ensuring safe and reliable drinking water, efficient and smooth travel throughout the city, environmentally responsible treatment of waste, effective storm water management, and sound stewardship of public funds. The department is made up of three divisions: Transportation Services, Water Services, and Engineering/GIS. Fisher oversees a department of 42 full-time employees and an annual operating budget of $15million, in addition to the management of between $25 million and $30 million in capital. Transportation Services is responsible for the repair and maintenance of the city’s street and storm water collection infrastructure. Water Services operates and maintains the city’s water reservoirs, pump stations and water mains to deliver the highest quality drinkable water to its customers. It also operates and maintains the wastewater collection and treatment system. Engineering/GIS handles all the construction-related activities within the public right-of-way, while employing the most effective project management practices possible, in order to protect the public safety. Last year, when Business View Magazine first spoke to Fisher, Belton had embarked upon two major water and wastewater projects: An $11 million water project that includes a three-million gallon elevated tank, a key waterline, and wholesale improvements to an existing pump station; and a $12 million project to make significant improvements to the city’s wastewater treatment plant. As economic activity in Belton continues to accelerate, the Public Works Department is working hard to keep pace. “We’ve got a whole lot of economic development activity and so we’re trying to use those opportunities to do some of the infrastructure projects that are needed.” The city’s five-year capital improvement program includes some high-priority road projects, including a major interstate highway interchange project that will be started this fall and completed in 2017, and continual water line replacement. In addition, Fisher said that Belton was also exploring the idea of adding a second source of water that will meet the city’s long-term needs, and thus make it less vulnerable to any disruptions from its one source which is water from Kansas City, Missouri. “And so, we’re looking at a source from the Kansas side,” he stated. Carolyn Yatsook, Belton’s Economic Development Specialist, agrees. “Right now, we’re experiencing a retail boom,” she said. “We’re being looked at by national retailers that have never looked at Belton before, due to the upgrades to, and new interstate status of, I-49.” Yatsook added that the city already has a lot of restaurant and retail operations, drawing consumers from the surrounding communities. “We’re the place where most Cass County citizens go to shop. They can come to Belton and get everything done and go home.” “You can get to from Belton to about everywhere in fifteen or twenty minutes,” Fisher added.